Hi there everyone!! !I made this scrapbook page last month to share on the TSG blog and I realized I never added it here on my blog. I swear I did but nope... 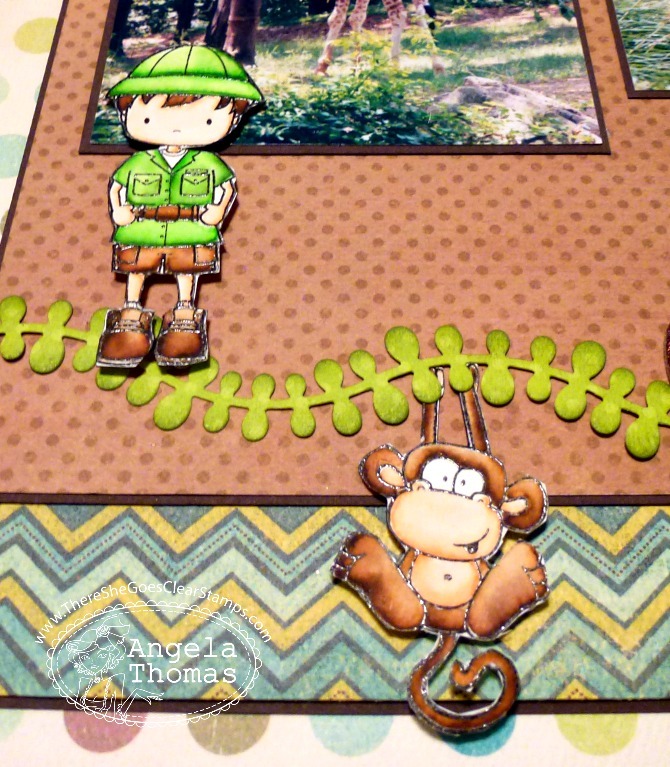 I'll have to admit that if you asked me a year ago if I liked scrapbooking, the answer would be a definite no. 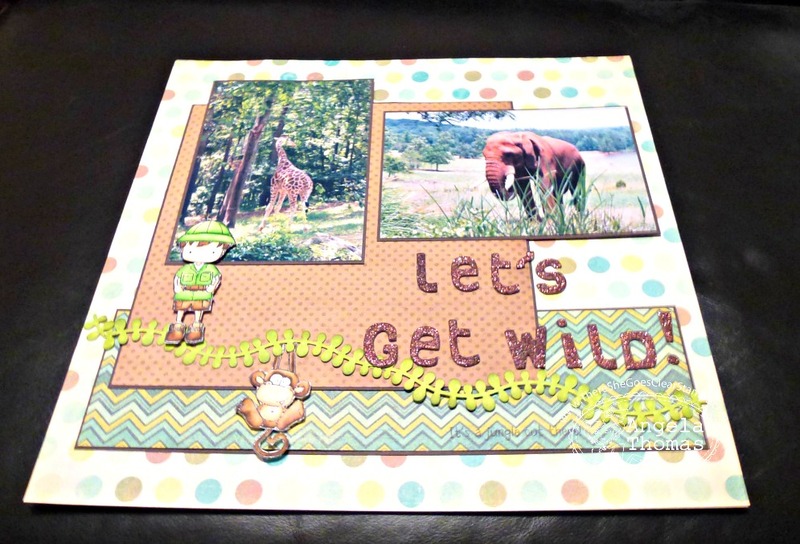 However, I am liking it more and more and have been creating some fun scrapbook pages. Adding stamps, makes scrapbooking that much more fun. I'm sorry for the quality of the picture.... I forgot to take a picture during the day and am having a hard time getting a decent pic. For my page, I decided to use some pictures that I took quite a few years ago at the North Carolina Zoo in Asheboro, NC. (I lived there for 3 years and the zoo was always a great place to go). 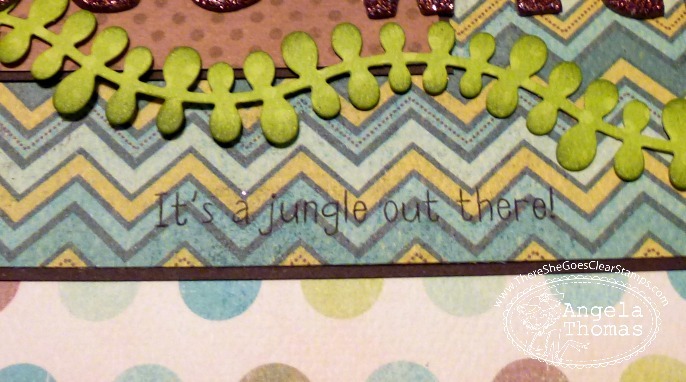 To add some fun elements to the page, I decided to use a vine die and then some of the images from the TSG set called "Jungle Out There". 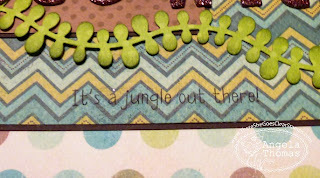 I have watercolored the image using Tombow Markers and then cut them out and popped them up. A simple sentiment finishes off the page. Love it!!! I love,love,love your designs and sense of colour in all your wonderful creations.